Halloween H20: 20 Years Later is a 1998 horror film directed by Steve Miner and starring Jamie Lee Curtis, Josh Hartnett, and Michelle Williams. The screenplay, based on a story by Kevin Williamson further developed by Robert Zapia, was written by Zapia and Matt Greenberg. It is the seventh installment of the Halloween series and a direct sequel to Halloween II, ignoring the fourth, fifth, and sixth installments (Halloween III: Season of the Witch has no connection to the other films and is not considered to be a part of the "Halloween" storyline). The film is set twenty years after the events of the original film and centers on a post-traumatic Laurie Strode living in fear of her murderous brother, Michael Myers, who attempted to kill her all those years ago. The film was intended to be the final installment of the franchise, but due to success Moustapha Akkad returned and made another sequel, Resurrection. The film begins on Thursday, October 29, 1998. Marion Chambers (Nancy Stephens), Dr. Sam Loomis's colleague, returns to her house to find it has been broken into. Before entering, she runs next door and lets her two teenage neighbors know that someone has ransacked her house. 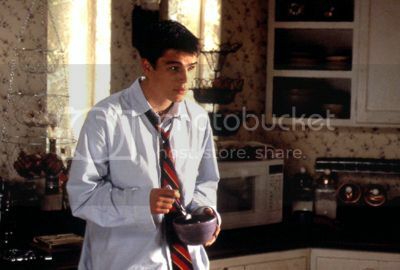 One of the teens, Jimmy Howell (Joseph Gordon-Levitt), searches Marion's house, but finds nothing and Marion decides to wait for the police in her house alone. While in her house, Marion discovers her file on Laurie Strode (Michael Myers' sister who escaped the attacks 20 years earlier) missing and finds someone is still in her house and immediately rushes over to her neighbours house. When she arrives she finds both teenagers murdered. The killer, Michael Myers, attacks her. After a confrontation with Marion, he manages to kill her. The police arrive as Michael leaves the house with the file on Laurie Strode. 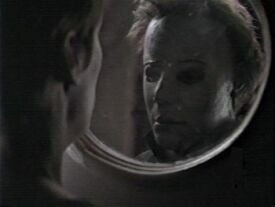 The film then moves to Northern California, on October 31, 1998 - Halloween. Laurie Strode (Jamie Lee Curtis), is now revealed to be living under the assumed name "Keri Tate". 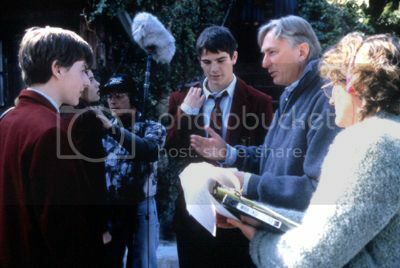 As Tate, Laurie has a seemingly perfect life with an intelligent son, John (Josh Hartnett), and a boyfriend, Will (Adam Arkin), a great career (as headmistress at Hillcrest Academy High School, a private boarding school) however, Laurie/Keri is far from happy. The tragic events from 20 years previous still haunt her and adversely affect her parental capabilities. To everyone, this is "just another Halloween"; however Laurie still lives in constant fear from the attacks from 20 years ago. Michael Myers (Chris Durand), manages to find her using the file, and starts killing off her co-workers and students one by one. John and his friends are watching movies in the basement when John's best friend, Charlie (Adam Hann-Byrd), goes to get snacks and is attacked and later killed by Michael. When Charlie's girlfriend, Sarah (Jodi Lyn O'Keefe), goes looking for him, she finds his body and is attacked. She climbs into the elevator but Michael finds her and kills her after breaking her foot. When John and his girlfriend find the bodies, they are chased by Michael through the woods and John is stabbed in the leg. While inches away from death they are saved by Laurie and her boyfriend who open the door for them just in time. Moments later, Laurie and Michael meet for the first time since their last encounter. Laurie and her boyfriend decide to try to kill Michael, but when they are attacked they shoot Michael only to discover that it was the school's security guard. Michael then proceeds to attack and kill Will. 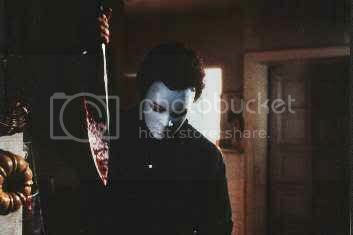 Laurie and the others escape but Laurie chooses to go back to the school to challenge Michael in a fight to the death. She finds him and attempts to kill him several times. She finally pushes him off a balcony, causing him to apparently fall to his death, similar to the first film. To make sure he is dead she raises a knife in order to kill Michael for sure, but she is interrupted by the school security guard, who takes her to safety. The police come and clean the mess and put Michael's corpse in a body bag and in an ambulance. Laurie, knowing that Michael is incredibly hard to kill and not believing that he is really dead, grabs an axe and steals the ambulance with Michael's body in the back. While driving away, Michael sits up and escapes the body bag, again trying to kill her. She slams on the brakes, throwing him through the wind shield. She then tries unsuccessfully to run him over. The vehicle tumbles down a cliff but she escapes, while Michael gets trapped between it and a tree. Laurie recovers the axe and walks to where he is pinned. He reaches out to her, apparently seeking forgiveness and compassion. At first it seems she will accept this, and begins reaching out to him, but then she slowly pulls her hand back and with one swing decapitates Michael, finally killing him. Michael's head, still concealed by the mask, rolls down the hill. Laurie exhales, as sirens are heard approaching from the distance.